The inaugural Augusta National Women’s Amateur has brought added buzz to this year’s Masters, as the world’s top female amateurs will battle it out to be crowned the event’s first-ever winner on April 6. Here’s everything you need to know about the Augusta National Women’s Amateur. Don’t be fooled by the name — not everyone will be playing a competitive round at the home of the Masters. The first 36 holes of this 54-hole, stroke-play event will be competed at Champions Retreat in nearby Evans, Ga. Only the top 30 finishers in the field of 72 will advance to the final round at Augusta National. However, everyone in the field gets a practice round at Augusta the day before the final round. The top 30 U.S. players in the final 2018 Women’s World Amateur Golf Ranking were invited, followed by the next 30 highest-ranked worldwide amateurs. Exemptions were also given to winners of various junior and amateur events. The remaining spots were filled by invitations courtesy of the Augusta National Women’s Amateur Championship Committee. Maria Fassi won the Annika Award as the best collegiate player in the game last season. — Jennifer Kupcho, a Wake Forest senior, is the top-ranked amateur in the field (No. 1) and the defending NCAA champion. Kupcho and Arkansas senior Maria Fassi (No. 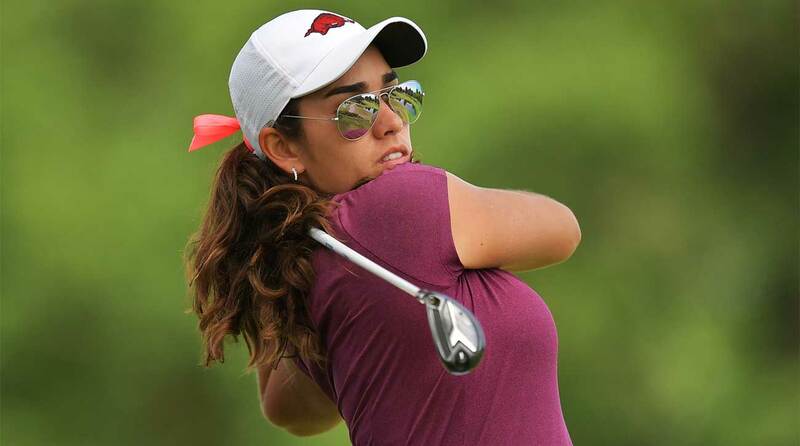 10), the Anika Award winner last season as the top collegiate woman golfer, both earned LPGA status for this year via the LPGA Q-Series last fall, but they deferred membership to return to school for their senior year. Both are expected to turn pro in May or June. — Ainhoa Olarra (24), a former University of South Carolina standout, is the oldest player in the field. — Alexa Pano (14) is the youngest player in the field. Pano was featured in The Short Game, a 2013 Netflix documentary about the 2012 U.S. Kids Golf World Championship. — The Duke University women’s golf team has five players in the field. Senior Virginia Elena Carta, junior Ana Belac, sophomore Jaravee Boonchant and freshman Gina Kim all qualified, as did Erica Shepherd, a high school senior who has committed to Duke for next season. View the complete list of players competing here. The final round (April 6) will air live on NBC from 12-3 p.m. (ET). The winner receives exemptions into the next five Augusta National Women’s Amateurs (provided she remains an amateur) and also gets invited to the 2019 U.S. Women’s Open, 2019 Women’s British Open and any USGA, R&A and PGA of America amateur championships for which she is eligible for one year.